Far too often, small business owners see debt as a burden, but it can be a great tool to help grow a business. Of course, that all hinges on being able to mange that debt because if a small business owner can’t manage the debt they have taken on, it can quickly become unmanageable. That’s why it’s important to understand the situation and attack the debt with confidence. Here are some tips to make that happen. The easiest way to minimize a small business’ expenses is to examine the budget from top to bottom. When a business owner can see how much money is being spent on a particular segment in the business, it makes it easier to see what can be cut. Of course, there are some obvious expenses that might be able to come off the books right away. Can the business operate virtually? There goes office rental space costs. Does the business have too much overheard? Again, another potential expense gone. Minimizing expenses is an art that takes time, but if done correctly, is an obvious first step in reducing debt. Pay your bills, avoid late fees and be smart. It’s pretty easy, but if a business owner slips, it can add to that pile of debt. “Use good quality accounting software to keep a close eye on your outstanding debt and monthly payments,” Xero proclaims in their small business guide on managing debt. The guide goes on to say that business owners need to keep a sharp eye on payroll, aged payables older than 60 days and obviously, all bills. 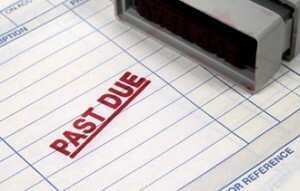 Sure it’s another cost, but hiring a debt expert or accountant can save a significant amount of money in the long run. An expert can help a small business owner negotiate debt and also help the owner set up payment plans that he or she didn’t know were possible. There are also non-profit credit counselors that can work directly with a business’ bank to help lower interest rates and help improve a business’ credit rating. This is tricky, because a small business owner doesn’t want to scare away customers and potential customers, but sometimes it can help. By innovating a product or service, a price increase could work. Make sure to check out all competitor’s prices to see if prices line up, as well. There’s a bit of luck involved, but by staying sharp, a small business owner can pay off the business’ debt.